Gary Stager is a recognized pioneer in 1:1 computing, online learning, and computer science for all students. 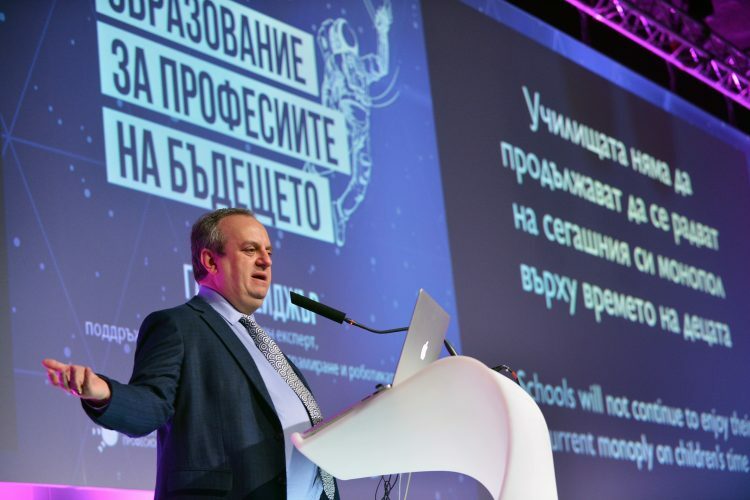 He has taught learners from preschool through the doctoral level and spent 35 years helping teachers around the world embrace technology as way of amplifying the potential of each student. Gary is a popular keynote speaker known across the globe for his fearless advocacy on behalf of teachers and children. Educators leave his presentations energized and empowered to change their practice and the world of the kids they serve. 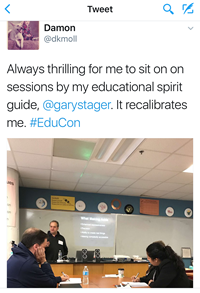 In addition to being a popular keynote speaker at some of the world’s most prestigious education conferences, Gary Stager is a journalist, teacher educator, consultant, professor, software developer, publisher, and school administrator. An elementary teacher by training, he has taught students from preschool through doctoral studies. In 1990, Dr. Stager led professional development in the world’s first laptop schools and played a major role in the early days of online education. 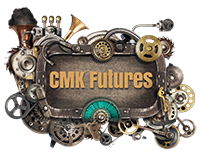 Gary is the founder of the Constructing Modern Knowledge summer institute for educators. 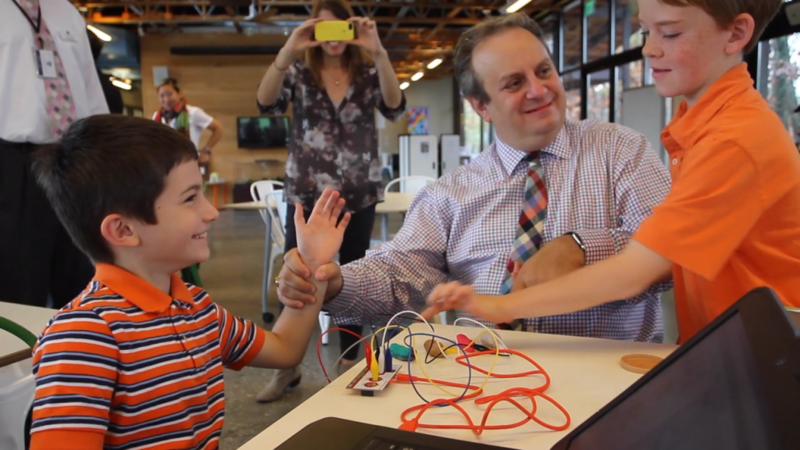 Dr. Stager is co-author of Invent To Learn – Making, Tinkering, and Engineering in the Classroom, called the “bible of the maker movement in schools,” by Larry Magid of CBS and The San Jose Mercury News. When Jean Piaget wanted to better understand how children learn mathematics, he hired Seymour Papert. When Dr. Papert wanted to create a high-tech alternative learning environment for incarcerated at-risk teens, he hired Gary Stager. This work was the basis for Gary’s doctoral dissertation and documented Papert’s most-recent institutional research project. Dr. Stager’s work has earned a Ph.D. in Science and Mathematics Education and he collaborated on a project that won a Grammy Award. Gary is also on the advisory board of the NSF-funded project, BJC4NYC: Bringing a Rigorous Computer Science Principles Course to the Largest School System in the US. Dr. Stager also maintains the world’s largest archive of text and multimedia by Seymour Papert at The Daily Papert. Simpatíco, 2007 Grammy Award Winner for Best Latin Jazz Album of the Year. The album also won the a similar award from the Jazz Journalists Association. Collaborator on a project by Brian Lynch which was also nominated for a Grammy Award in 2017. CUE presented Gary with its Technology in Learning Leadership Award. (2012) Prior winners include George Lucas, Guy Kawasaki, and Marc Andreesen. Educational Leadership, Learning and Leading with Technology, Technology and Learning, ASCD Education Update, KQED Mindshift, Converge, Logo Exchange, eSchool News, The Age (Melbourne Australia), Education HQ (Australia) Crikey (Australia), as well as public radio (US), the ABC (Australia), Canberra Times (Australia) Sunraysia Daily (Australia), and Peruvian television. Gary has worked, studied, or spoken in Australia, Canada, China, India. Hong Kong, Brazil, Mexico, Peru, New Zealand, Poland, England, Lithuania, Bulgaria, Spain, Costa Rica, Slovakia, France, Thailand, Italy, Austria, Turkey, The Netherlands, Denmark, South Africa, Singapore, Belgium, Philippines, Qatar, Egypt, and across the United States. Intel, Apple, LEGO, Toshiba, Microsoft, Disney, Universal Studios, Logo Computer Systems, Inc., Tom Snyder Productions, Claris, ICT Qatar, Fundacion Omar Dengo (Costa Rica), Generation YES, Victoria Department of Education, New South Wales Department of Education, Queensland Department of Education, Australian Capital Territory Department of Education, Compaq, One Laptop Per Child, Telefonica (Peru), and countless schools and school districts around the world. Gary Stager is a unique speaker who never fails to entertain, inform, and inspire. Gary’s offers a unique combination of intellect and wit that provokes conversation and smiles alike. 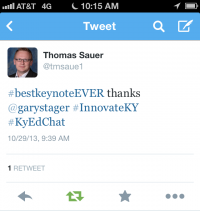 He is a committed educator who comes to a conference ready to roll up his sleeves and work. Gary can have audiences on their feet cheering at a keynote and a half hour later be fielding questions and presenting his latest ideas in a breakout session or at a conference reception. He is straight talking, fearless, and a visionary educational leader who ‘tells it as it is’. Gary’s presence has always brought our conference to another, higher, level.